"Based on the totality of Charlie Sheen's statements, conduct and condition, CBS and Warner Bros. Television have decided to discontinue production of Two and a Half Men for the remainder of the season." - CBS and Warner Bros. There is no word yet on what this means for the series next season. It is unlikely the series will return with more new episodes this season, though. Will they replace Sheen with another character next season? Only time will tell, but it seems like the sitcom will be back next year for a season nine in someway, but we are just guessing. 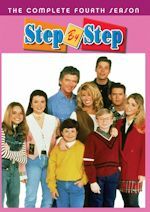 The show was renewed back in 2009 through 2011-2012 season, when Sheen got his $1.8 million an episode deal. It will be interesting to see if it will still be on the air through 2011-2012. 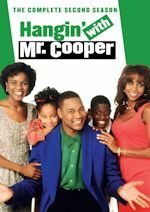 As of now, repeats continue to air Mondays at 9pm. Unless something changes, Two and a Half Men repeats are scheduled for the rest of the season. We will let you know of course if anything should change, as they did order two extra episodes each of Mike & Molly and Rules of Engagement. How I Met Your Mother has been renewed through the 2012-2013 season as part of a multi-year broadcast agreement between CBS Entertainment and Twentieth Century Fox Television. The series leads off the CBS Monday sitcom block at 8pm. The series does well in the ratings doing close to 10 million and in the mid-3 rating in 18-49. Currently the show is in its sixth season and this new deal will make it last at least eight seasons. 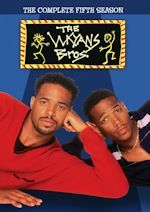 The series premiered in September 2005 and entered syndication last fall on TV broadcast stations and also on cable (Lifetime, WGN America). How I Met Your Mother stars Josh Radnor, Jason Segel, Alyson Hannigan, with Neil Patrick Harris and Cobie Smulders. 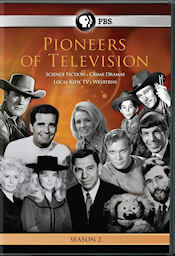 We have 2 DVD copies of Pioneers of Television - Season 2 for giveaway thanks to the fine folks at PBS Distribution. The contest ends at the end of Sunday, March 13. So hurry! Nearly 100 stars from TV's formative years bring their stories to PBS in season two of the Emmy-nominated documentary series Pioneers of Television. Narrated by Kelsey Grammer, each episode melds compelling new interviews with irresistible archival clips to offer a fresh take on TV's founding celebrities. This season's four new episodes profile science fiction, crime dramas, local kids' shows, and westerns. 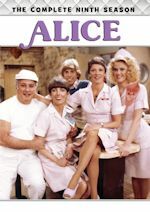 Featured stars include James Garner, William Shatner, Angie Dickinson, Fess Parker, Linda Evans, Robert Conrad, Mike Connors, Leonard Nimoy, Bill Cosby, and many others. Please read the rules and regulations first, then if you meet the standards, enter the giveaway by posting your favorite episode from Pioneers of Television season 1 or 2 in the comments section on our Facebook page. Good luck! And don't forget to read our DVD review!